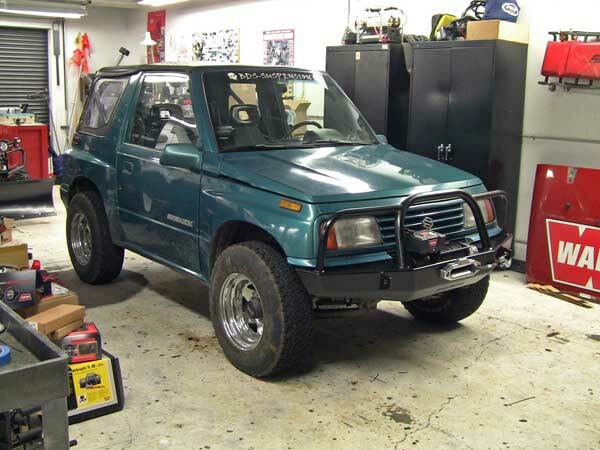 Finally got around to installing a WARN VR8000-s winch on The Teal Terror. 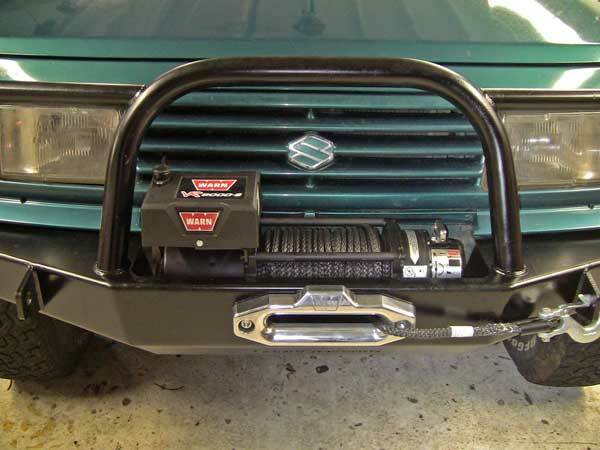 A winch is a great addition to any off-road vehicle simply because if you get stuck, you can pull yourself out. And if your buddy gets stuck, you can pull him/her out, too. This winch has an 8,000 lb. capacity—more than enough for such a small rig, but allows you to pull heavier vehicles, too—and features the company's new Spydura synthetic rope (hence the "-s" in the name). Since synthetic rope is lighter weight than traditional metal cable, the winch's overall weight is 62 lbs. compared to 80 lbs. with wire rope. This is a nice factor on a small, lightweight vehicle, such as the Sidekick. Plus, synthetic rope is also easy to handle. Like all winch rope, this needs to be stretched before actually using it to pull, so that's in the works for this afternoon, as tomorrow I'm going wheeling with some co-workers in the snow. Pics to follow.